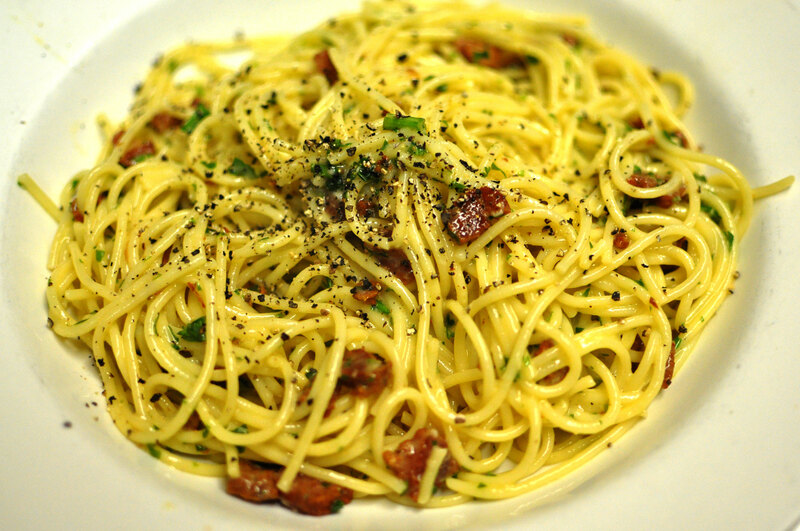 Spaghetti Carbonara @ Casa Bianca Pizza Pie | Restaurant Hopper - Restaurant Hopper is a Food Search site for Restaurants, Menus, Cuisines and Local Food Locations with Photos, Videos and Virtual Menus. A mixture of egg, pancetta, parmigiana cheese and parsley. Served with a roll and butter.